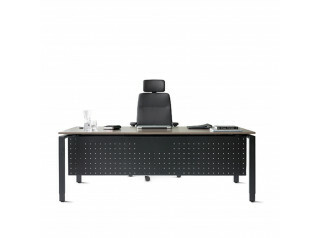 Solos Office Desk has a restrained elegance which emphasises a distinguished ambience in offices of all sizes. 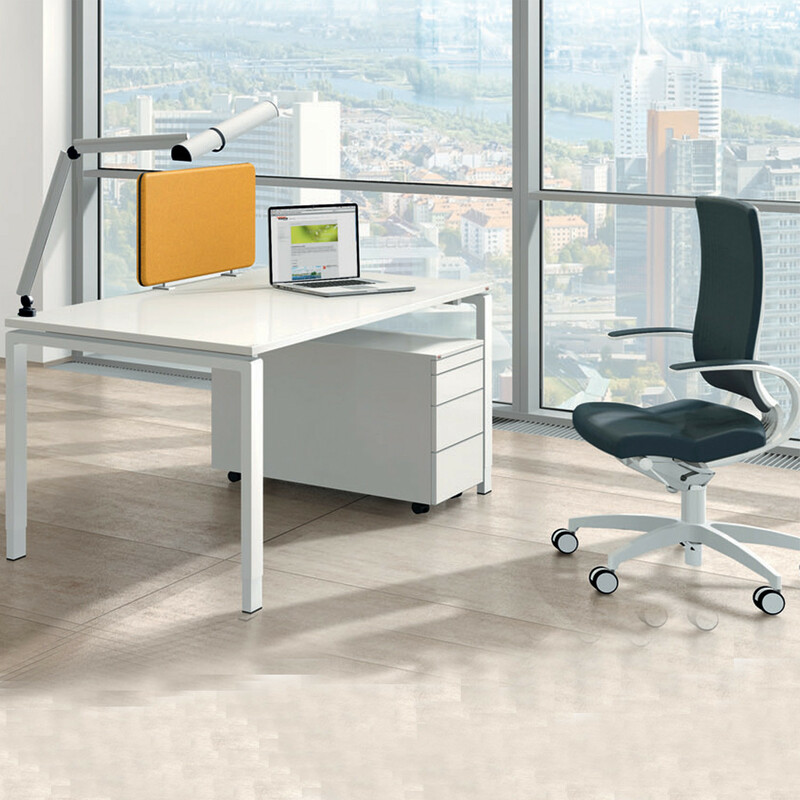 The floating look of the Solos desk top combined with its delicate frame is aesthetically impressive. A new standard of purist elegance is achieved. In open plan offices, Solos Office Desks are ideal for creating an attractive look and achieving practical solutions, with the option of having several workstations combined. The simple style of construction ensures an open and vibrant look, even for a large office. Whether they stand alone, or as a pair, Solos Desks are the perfect basis for an efficient workplace. Organisation rails, desktop partitions with PC mounts, and other storage options, as well as cable management offer stylish finishing touches. You are requesting a price for the "Solos Office Desks"
To create a new project and add "Solos Office Desks" to it please click the button below. To add "Solos Office Desks" to an existing project please select below.